Pacific Power Group’s service technicians have high level industry certifications, extensive technical training and comprehensive safety training. Our technicians are the best trained and most competent in the industry, and you can depend on them for your preventative maintenance and emergency maintenance needs. All of Pacific’s journeyman level power generation technicians are certified by the Electrical Generating Systems Association (EGSA). 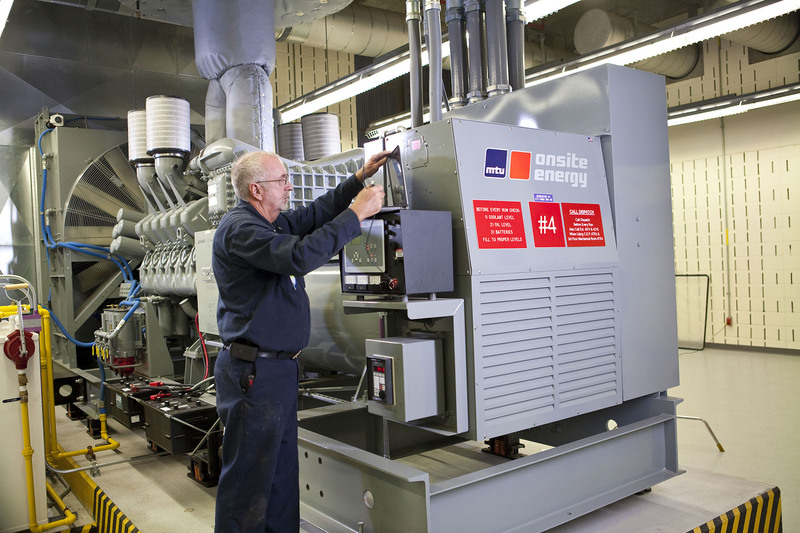 Certification is our industry’s hallmark of expertise and proficiency in installation, service, maintenance and repair, and knowledge of all components comprising complex power generation systems. EGSA certification assures that technicians have the qualifications to provide exceptional service to critical systems of all brands. Our journeyman power generation technicians in WA are licensed 01 or 07 by the WA Department of Labor and Industry. To obtain these licenses, technicians must complete 4,000 hours of direct job training for a 07 license, 8,000 hours for 01 license, and 24 hours of continuing education credits every three years, including eight hours on National Electric Codes – certifying their high expertise and technical competence in our industry. Technicians also receive regular training on our core products and products by most major manufacturers. The safety of customers and employees is our highest priority. All technicians receive regular high and low voltage electrical training and NFPA-70E arc flash safety training and all technicians receive arc flash rated clothing and personal protective equipment, and receive regular instruction in its use. We follow a strict Electrical Work Safety program and utilize Lock Out Tag Out procedures when servicing equipment.